MoviePass isn’t exactly a movie streaming service. I know that. It isn’t a platform for downloading movies. I know that as well. MoviePass is an American based movie-ticket service where users can purchase tickets to watch movies showing in theaters. The way the service works is, users sign up on the website, card will be delivered within two weeks, users browse theaters and show times on the MoviePass app and use the card to get tickets at the box office or Kiosk. This is exclusive to Americans or those based in America though. The service has been in the news lately for a lot of reasons. Initially, users could pay only $9.99 a month and be able to see unlimited movies in theaters. However, that seem to be drawing the company to the grounds. The company has since made some chances and this includes, just 3 movies in a month for same price. Although that change isn’t reflected on the website yet, it’s what’s in the news. Anyway, I am here to bring to you, something better. Rather than paying, how about the chance of being able to watch these movies online for free? Not just movies, but those block Buster movies you’d be paying to watch on movie pass, Netflix and other subscription based services. As at when writing this, the skyscraper 2018 movie is available online in HD quality. Please note: This is solely for those who would be interested in free options. Buying tickets, visiting cinemas and theaters is still highly advised. Is it safe to use these free movie online streaming platforms? Using Free Movie Sites Could Cause Malware Infection? Credit Card Details Being Stolen? While I will be more than happy to share these websites and apps to watch and download free movies online for free, it’s still advised that you visit the cinemas and buy tickets when possible. For some of us who do not like going out and tend to spend most of the day at home, these are the best alternatives to Movie Pass to download or stream those latest block Buster movies. As earlier mentioned, the skyscraper 2018 HD movie is available online and can be downloaded in MP4 format. Although I got notified by a different app, FzMovies was my first point of call to download the movie. FzMovies doesn’t have an app. Hence, it’s a website. However, the website comes loaded with movies to download. Most action packed block buster movies released so far this year, are available on the platform. Rampage, skyscraper, mission impossible: fallout, you name it. As long as it’s available for free download online, it’s available on the platform. What’s more interesting is the download size. Download size is between 200mb and 300mb and I find that to be convenient for most people. Especially if you are on a limited data plan. Being able to download via different servers is also part of the bargain here. Although downloading from FzMovies is easy on Android, being able to download movies from the website on iPhone is also achievable. Another favorite of mine. Showbox application for movies is another app that has been in the limelight for quite some time now. Other than FzMovies website, Showbox is my go-to application for downloading movies. Not only can you download movies on the app, you can also stream movies and TV shows. The interesting thing with showbox other than video quality usually in HD 720p or FHD 1080p is the fact that it sends you a notification whenever a new episode to your favorite TV show is available for downloading or online streaming. Remember I mentioned getting notified about skyscraper being available in HD video quality? Yes, Showbox notified me of that. Other than movies and TV show downloads and online streaming, showbox provides news happening around movies. If you are a movie enthusiast, this is an app you should have installed on your phone. While on Android, it’s called showbox, on iPhone, it’s called movie Box. Here is a guide on how to download movie box on iPhone. Movie Dairy is an app I only recently discovered. Unlike showbox which tend to display ads from time to time, movie diary is absolutely free. By free, I mean, no ads. At least, none I have been able to find. Kinda makes me wonder how the developers plan to keep the service going. When I newly discovered the app, it was available on the app store. I was surprised and guessed the app won’t stay that long. Why? Copyright infringement! Sharing free movies and shows without permission from the creator is infringing copyright laws and I like to use legitimate businesses frowns at that. By legitimate businesses, that includes Apple and the app store. But till date, the app is still in the app store. Hence, if you are looking for the best free movie streaming app for iPhone and iPad and an alternative to movie pass, I highly recommend movie daily app. Use this link to download the app from the app store. Bobby movie is my second favorite when it comes to being able to watch movies online in high display quality for free. What often makes me use Bobby movie on my android phone as against using showbox sometimes, is the server speed when streaming. Unlike showbox, being able to stream movies via the Bobby movie app, works faster. While Bobby movie app allows you download movies and TV shows, that feature seem to be having glitches for quite some time now. Till date, it hasn’t been fixed. I haven’t been able to download movies and television show episodes on the app. This isn’t exclusive on my android phone, the issue still poses on my android TV Box. However, streaming works just fine. What that means is, for downloading movies and TV episodes, I recommend using showbox app. For streaming or watching online, I recommend Bobby movie. That of course, is if you want to go with use of apps. Bare in mind though, sizes are often large. Precisely between 600MB to around 1GB per movie in 720p quality. FHD 1080p video quality movies often pans to around 3GB. That’s a lot but you are getting better viewing experience compared to movies downloaded from FzMovies. Away from using apps, mycoolmoviez website is another website to check out when it comes to downloading latest movies online. The website works great. Although I’d pick FzMovies over mycoolmoviez, it’s worth mentioning. While the former is centered around movies, the latter provides more. You can download shows on the website as well. There is also a session that displays the upcoming movies to look out for as well as their release date. This is another website to have on your radar. I have known the HDMP4Mania website for a while now and surely, it’s a website to visit if you are a fan of entertainment movies and shows. An interesting added feature on the website that isn’t available on the above mentioned sites, is WWE shows. HDMP4Mania allows you download and watch WWE Wresting shows for free. Hence, if you are into wrestling matches, this is another reason to consider visiting the website. FouMovies is another movie sharing website. I have known the site for a while now and it is worth being tagged a MoviePass alternative. While the site also provides free movies and TV show downloads, there’s more. Do you like Chinese movies? Then this is the website to visit. FouMovies has got a session for downloading Chinese movies and this is something I have come to appreciate. The rest websites and apps above, for the most part, only provide Hollywood and Bollywood movies. Chinese ain’t part of the package. This is where FouMovie stands out. There are a lot more movie streaming services and websites to look out for. However, the platforms mentioned above, should certainly satisfy your search intent. If you want, you can check through our verified sites to download movies online for free. Those sites do not require registration. All the websites and apps mentioned above, do not require any form of registration as well. If apps is what you’d rather prefer, we have a comprehensive list of all the best apps for streaming movies and TV shows online for free. Over 15 of them. For the most part, this is perhaps, a question on your mind. Right? Well, to answer the question, what do you mean by safe to use a website or app? 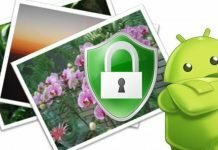 Likeliness of your phone being infected by virus or malware? Privacy? Credit card details being stolen? Let’s start with your phone possibly being infected with malware courtesy of using these free streaming sites. Almost every movie streaming website on the internet, utilizes ads. All the website in this list, does. Even this blog you are reading, has ads on it. The issue however, is that most of these sites utilize pop up ads. Pop up ads are annoying and no, we do not use any of such on this blog. Now, the thing with ads is, sometimes, website owners have no control over where these ads leads to. Except of course, they are privately hosted ads. Now, since website owners do not know where these ads leads to, they have no guarantee as to whether or not your phone is safe from being infected. If however, you understand how phone works, your phone cannot be infected by just browsing a website. The only way your phone can be infected is if you choose to download and install an infected app. Hence, visiting these sites does not infect your phone with virus or malware. Be careful however, not to download any app from the websites. If you want some level of extra security which in most case, isn’t necessary, check out the security app review. Well, all the sites listed here do not require registration for them to be used. Hence, I am not sure how that can possibly affect privacy. If however, you are paranoid about your privacy, you can use VPN in accessing those websites. When using VPN, free isn’t always advised. Instead, you should consider a premium one. Pure VPN is a good way to get started. That way, your privacy is full proofed. Heck, since registration isn’t required, where are you supposed to input credit card? If clicking on an ad on any of those sites and you are asked to input your credit card details, you are more than welcome to hit the back button. Point is, be careful online. Don’t go about inputting credit card details into every box that’s requesting for one. Being able to watch movies on those sites and apps is absolutely free hence, credit card details is definitely not required. Hope this answers your question and thus, did justice in suggesting some awesome alternatives to MoviePass for streaming movies online for free? Questions? Do not hesitate to ask.